2004-2006 RX330. WE ARE A LEXUS DEALER SO WE CAN HELP YOU WITH ANY OF YOUR LEXUS NEEDS. THIS PART IS NEW AND BEING SOLD BY AN AUTHORIZED LEXUS DEALER. THAT CAN BE USED AT ANY LEXUS DEALER IN THE UNITED STATES. Removed off a 2004 IS300. Power Steering Pump, Pulley, and Hardware. LEXUS FACTORY PART NO. MADE IN JAPAN. GENUINE LEXUS POWER STEERING PRESSURE HOSE. TOYOTA LEXUS FACTORY PART NO. B) in good condition (i.e. 2002-2010 SC430. LEXUS OEM FACTORY POWER STEERING PUMP. WE ARE A LEXUS DEALER SO WE CAN HELP YOU WITH ANY OF YOUR LEXUS NEEDS. THIS PART IS NEW AND BEING SOLD BY AN AUTHORIZED LEXUS DEALER. THAT CAN BE USED AT ANY LEXUS DEALER IN THE UNITED STATES. Premium Rack & Pinion Seal Kit for Lexus GS 300 1993-1995. 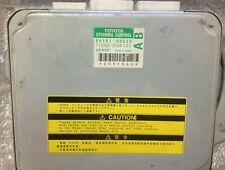 APPLICATION: Lexus GS 300 1993-1995. GS430 1998-2003. GS400 1998-2001. SC400 1991-2000. LS400 1989-2000. Lexus Power Steering Pump 11 Piece Seal Kit for GS, LS and SC Models. Lexus GS300 1999-2000. GENUINE LEXUS POWER STEERING PRESSURE HOSE. LEXUS FACTORY PART NO. 1992-1997 SC400. 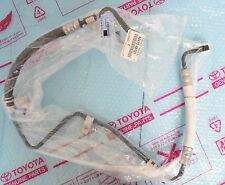 LEXUS OEM FACTORY POWER STEERING RESERVOIR HOSE. WE ARE A LEXUS DEALER SO WE CAN HELP YOU WITH ANY OF YOUR LEXUS NEEDS. THIS PART IS NEW AND BEING SOLD BY AN AUTHORIZED LEXUS DEALER. Quick shipping from multiple locations in the USA ! 2004 TO 2006 ES330. 2002 TO 2003 ES300. MAY ALSO FIT OTHER TOYOTA MODELS. (Lower 48). 2004-2006 ES330. LEXUS OEM FACTORY POWER STEERING HIGH PRESSURE HOSE. WE ARE A LEXUS DEALER SO WE CAN HELP YOU WITH ANY OF YOUR LEXUS NEEDS. THIS PART IS NEW AND BEING SOLD BY AN AUTHORIZED LEXUS DEALER. 2001-2005 OEM Lexus IS300 Power Steering Line and Hose. No tears or bends. For: 1998-2000 Lexus LS400. 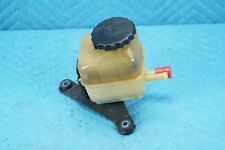 Power Steering Pump W/ Pulley & Sensor. 2000 LEXUS LS 400 (1995-2000). Off a 2002 Lexus SC430. We want you to be 100% happy with your order. Off a 1992 Lexus Sc400 with automatic transmission. We want you to be 100% happy with your order. Model: LS430. LEXUS LS430 2001 -2006. Make: LEXUS. Part: Steering Pump. Year: 2005. 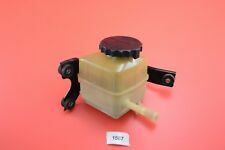 GENUINE TOYOTA 4504460H00 LAND CRUISR(81-90) END SUB ASSY, TIERID 45044-60H00 ! IT FITS TOYOTA : LAND CRUISER (1981-1990). It is 100% made by the manufacturer TOYOTA! Vehicle:2001 Lexus Is300 Sedan automatic Silver exterior and black leather interior. Item:Complete power steering pump. a pretty image. Honda Parts Unlimited. Good working condition. 2004-2006 RX330. LEXUS OEM FACTORY POWER STEERING HIGH PRESSURE HOSE. WE ARE A LEXUS DEALER SO WE CAN HELP YOU WITH ANY OF YOUR LEXUS NEEDS. THIS PART IS NEW AND BEING SOLD BY AN AUTHORIZED LEXUS DEALER. Six Month Warranty! Fast Free Shipping! Used OEM Parts!